In Goa and feeling lucky? Head over to the Deltin Royale Casino, a floating casino in the Mandovi river, that offers something for everyone. No, it is the Deltin Royale and is Goa’s largest floating casino spread over some 40,000 square feet, with 120 plus gambling tables and a variety of entertainment such as India’s only dedicated poker room. So for the gamer, it has more than enough options to indulge in. So from the Indian Teen Patti, to American Roulette, Baccarat, Blackjack, Slot Machines, Poker, it has them all. Packages start from INR 2,000 per person and upwards depending on whether it is a weekday or weekend. 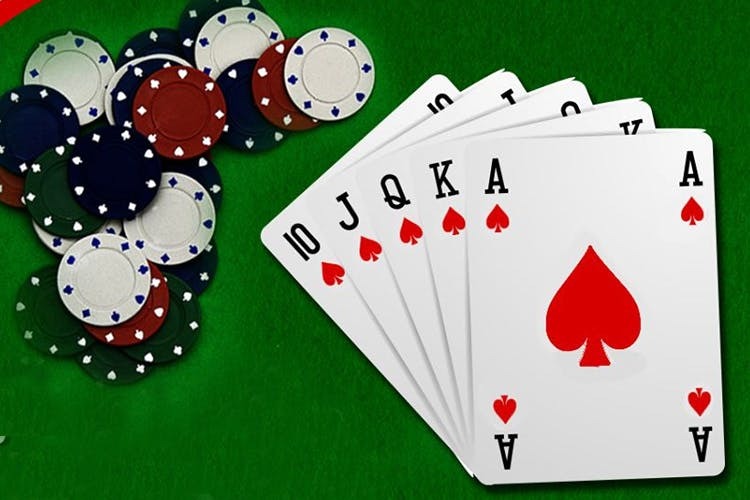 These include unlimited food, alcoholic drinks, entertainment, and an allotment of some playing chips, which can be used only at certain tables. Of course, the more expensive the package you choose, the better the brands of alcohol you get served. Drinks and starters are served at the gaming tables, and one can keep playing across different tables the whole night away. Address: Boards from Noah’s Ark, RND Jetty, D.Bandodkar Road, Panjim. Ph: +91 86 985 99999. They even have a whiskey lounge with a magnificent selection of Single Malts & Hand Rolled cigars, but exclusively for those who buy the VIP access. And for guests who want to stay there, they also have limited VIP Gaming Suites for an additional fee. For those of you who want to enjoy some fine cocktails under the stars, and watch the river flow by, there is the Sky Bar. This is the roof top deck of the ship is closed during the monsoon months. And then, there is the Vegas Restaurant, which has live entertainment every night from about 7.00 pm onwards till late in to the night. So one can dance and drink away if they don’t want to gamble. They occasionally also have celebrity performances, so advisable to check their event calendar. The Vegas restaurant also, has a lavish buffet with cuisines from across the world. They have vegetarian as well as non-vegetarian options, with a Live Noodles & Chaat counter. And do remember, no starters will be available here as they are only served at the gaming tables. They even have a dedicated kid’s room with video games, TV, books and board Games, all under the supervision of their staff. So leave the children while you go check out the gaming action, and later have them accompany you to the restaurant. Please remember that there is dress code for all, which is smart casual. Which means no shorts, sleeveless shirts or flip-flops/chappals for men or swimwear for women.